With The Homes (Fitness for Human Habitation) Act due to come into force in a matter of weeks (20th March 2019), focus has understandably turned to the 29 Housing Health and Safety System (HHSRS) hazards that the Act is based on. Amongst them, adequate space to dwell stand outs because it’s the only hazard that focuses not on the defects within the property itself. And while many private landlords and agents could be forgiven for thinking overcrowding and space is is more of a concern for local authorities than it is for them, the rising costs of renting in urban areas and increased immigration means overcrowding has become an issue for everyone. So how does the HHSRS assess whether a property is overcrowded? The first stage of the assessment focuses on the size and definition of different areas of the property. It looks at whether there is adequate living and sleeping space, a separate kitchen and personal washing facility and the levels of privacy the property contains. The next stage takes in the make up of those living in the property, assessing the ages and genders of the occupants as well as the relationships between them. Once these two stages have been completed, an assessment is made as to the suitability of the space for those that dwell in it. If the property is found to be in breach of the space and dimensions for those living in it, it is a criminal offence, which obviously has serious ramifications for the landlord. As we mentioned above, whether or not a property is overcrowded is often down to the tenant not the landlord. Although a landlord can determine the space and proportions of his property and make sure he’s renting it to an appropriate number of tenants at the start of the tenancy, he is unable to control whether or not the tenants invite additional people into the property. Natural growth – a tenant having an additional child while renting the property. Temporary overcrowding – inviting family to come and stay during a visit. What can a landlord do to protect against other instances of overcrowding? Vet your tenants carefully – check previous references to ensure your tenants have adhered to their past tenancy agreements and not invited additional people to live in their home. Regular inspections – the only way to see what’s going during a tenancy is to conduct regular inspections of the property. This will give you the best reassurance that the tenancy agreement is being complied with, with the appropriate number of tenants residing within the dwelling. 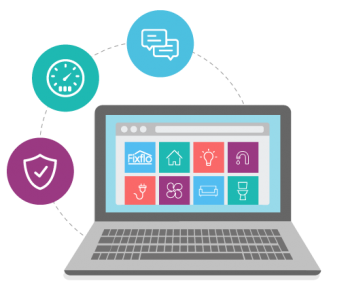 Constant communication – building a good relationship with your tenants and providing them with effective ways to communicate with you (such as software like Fixflo) helps establish a relationship of trust, which is the best foundation for a tenancy without overcrowding, or any other, issues. For further information about space and overcrowding or other factors related to the HHSRS, why not download our FREE HHSRS Guides? 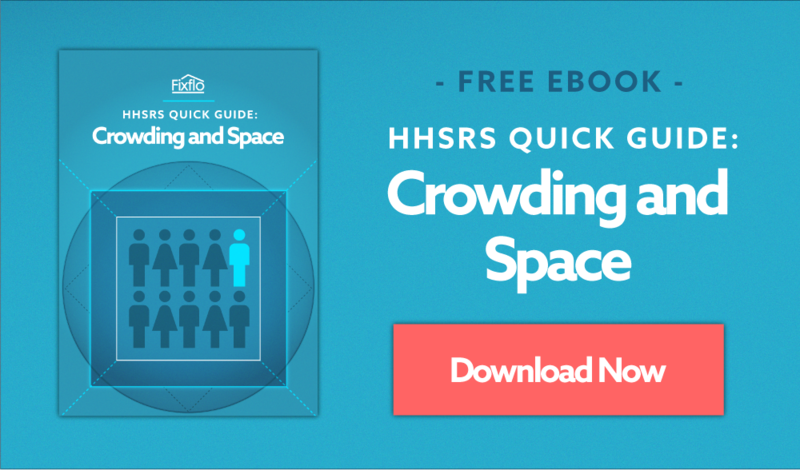 Get our free HHSRS guide to Crowding and Space and read more about the legislation on our blog. You can also get our HHSRS checklist and download our guides to noise, entry by intruders and lighting.